Everyone makes mistakes. However, when the mistakes are made by doctors and other health care providers, the consequences can be devastating. Doctors and medical professionals must follow good and accepted medical practices. While it can sometimes be very clear when they have failed to do so, occurrences of medical malpractice are not always obvious to the victims and their families. Birth Injury – A birth injury may include any type of injury to mother or baby before, during or after labor or childbirth. Birth injuries can range from physical injuries such as scarring, lacerations and fractures, to birth injuries such as Erb’s palsy, cerebral palsy, shoulder dystocia and brachial plexus palsy. Failure to Diagnose or Misdiagnosis – When a doctor fails to diagnose or incorrectly diagnoses an injury or illness, the patient may receive the wrong treatment or may even be discharged when suffering from a potentially life-threatening condition. This can occur when a doctor misinterprets symptoms, fails to order necessary tests or fails to properly evaluate test results. As a consequence, the patient’s condition can get worse or this can give rise to a new medical problem. Anesthesia Error – Errors in the administration of anesthesia and the improper monitoring of a patient during a surgical procedure can cause injuries such as anaphylactic shock, malignant hyperthermia, allergies and negative drug reactions, awareness during procedures, oral or dental injury, nerve injuries, organ dysfunction, heart attack or stroke. Medication Error – Medication errors are one of the most common forms of medical malpractice and commonly involve cases where a patient is prescribed or administered the wrong type or dosage of a medication, administered a drug to which the patient has a known allergy or the medical professional fails to administer medication on time. Hospital Staff Error – Hospitals and other medical facilities may be held responsible if their staff members cause injury to patients through negligence, carelessness or wrongdoing. Some examples include delayed admission, failing to respond to patient needs, improperly performing a procedure, forgetting to document a patient’s symptoms or condition on their medical chart, failing to monitor a patient, medication errors, and poor post-operative care. 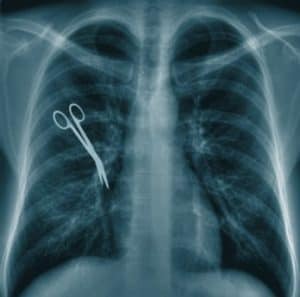 Surgical Error – The most typical types of surgical error is when a surgery is performed on the wrong part of the body, performing the wrong procedure on the correct body part or operating on the wrong patient. Medical malpractice can be devastating to victims and their families. In addition to the physical consequences, the family’s trust in the medical professionals they depended on has been shaken. Further, it often becomes impossible to get answers from those responsible about what has truly occurred. In times like these, place your trust in ARDITO LAW FIRM, P.C. If you or a loved one has been injured due to medical malpractice, contact ARDITO LAW FIRM, P.C. as soon as possible. Let us start working for you. There is no fee or obligation unless we are able to get a recovery for you or your loved one. Calls are answered 24/7. Help is a phone call away.